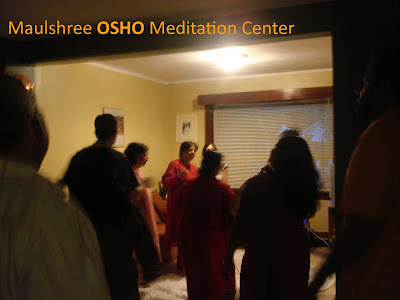 Maulshree OSHO Meditation Center, just minutes from heart of Toronto, has an Osho Meditation Celebration every week. Ma Udgaya, who runs the center has been Osho’s desciple for over close to 28 years, and the vibe is felt all over! The recent meditation held there was just amazing, with Osho Kundalini Meditation to hearing one of Osho’s discourses and than finally letting-go in celebration. Minutes away from Maulshree Osho Meditation center is Lake Ontario, and sometimes during full moon nights, the meditation heads to the side of the lake. The center is in the perfect location! Beloveds! I moved to Etobicoke last December and never knew of your existence. I am at the foot of Sixth Street, on Lake Shore Drive. We are neighbours! My tel. is 647-827-6597.